One of the most hyped releases in Fortnite’s Season 7 never came. The Driftboard, basically a hoverboard that carved like a snowboard had many people excited. The board was supposed to release in the v7.10 Content Update but was delayed the day before. A post from Epic Community Coordinator MrPopoTFS announced the delay but promised the Driftboard would be coming to Fortnite soon. At the time of this announcement, it was a welcome change. Fortnite had recently added a bunch of new items and taking an update cycle to focus on bug fixes was something the community wanted to see. The thought was that the Driftboard would come out in the v7.20 Content Update. As the updates have slowly moved past and Epic hasn’t provided any new info on the Driftboard, players have become worried the Driftboard has entered the vault before it even entered the game. With only hours before the board was supposed to be released, the design was mostly completed. In fact, some players were able to use a bug to actually get gameplay of the board. It honestly looked like a ton of fun. Considering the quad crashers can basically fly and rack up tricks, this board seemed like it would actually lead to some SSX Tricky like combos. 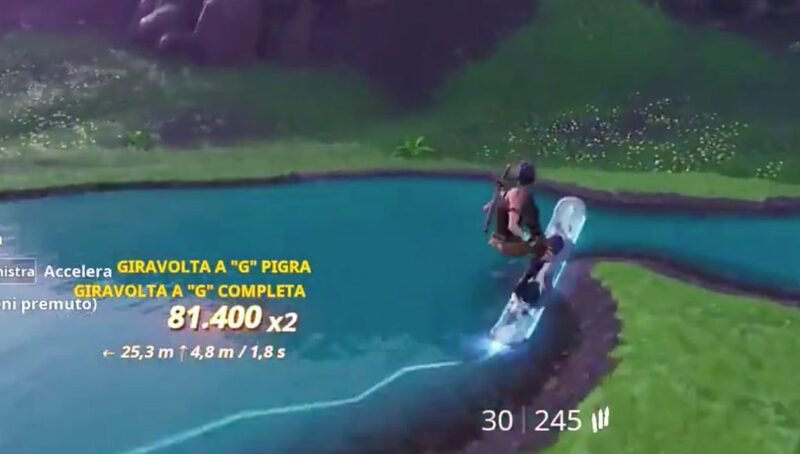 At this point, we probably would have had multiple courses built in creative mode designed just to do tricks with the Driftboard. So what happened to the Driftboard? Unfortunately, no one can say for sure. Something must have gone drastically wrong in the design process because the first delay of the board happened two months ago. In that delay the language they used made it sound like the board would be coming back soon. Clearly, that wasn’t the case. As the weeks have passed, the community hasn’t forgotten. Many Twitter replies still clamor for the Driftboard but Epic has been silent for weeks. Right now, with a bunch of content creators playing Apex, Epic has tried to lure them back with quadrupling the money made by Support-A-Creator through most of February. If they had such a highly anticipated vehicle ready to come back now would be the time to announce that. You could make the argument that they are saving it for Season 8 when people expect the planes to be vaulted, but again, why not tell the community that instead of making people think you forgot? The Driftboard didn’t seem like it would be overpowered at all. It didn’t seem like it would limit the design space. It just seemed like a lot of fun. We will have to wait and see if Epic ever addresses it but now would be the time it would make the best impact. What do you think happened to the Driftboard? Will we ever see it again?